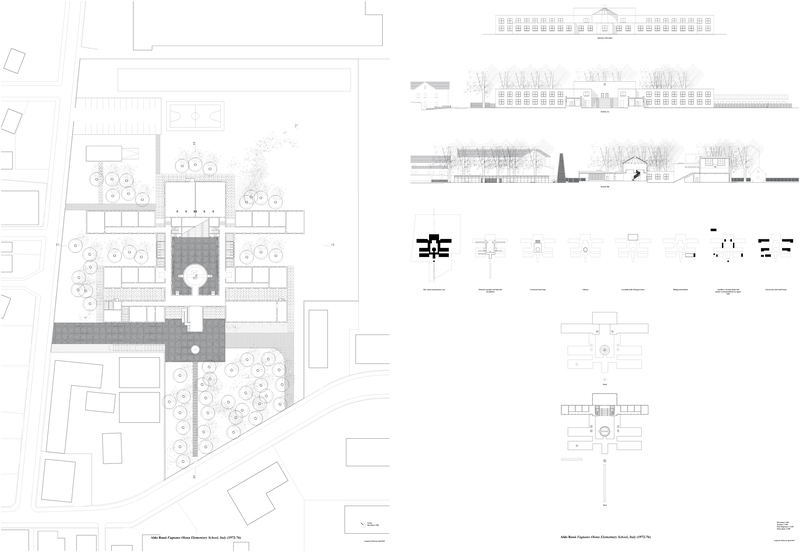 C McEwan 2013 School-Cemetery [montage] Left: Fagnano Olona School, Right San Cataldo Cemetery, Both drawings by Rossi. 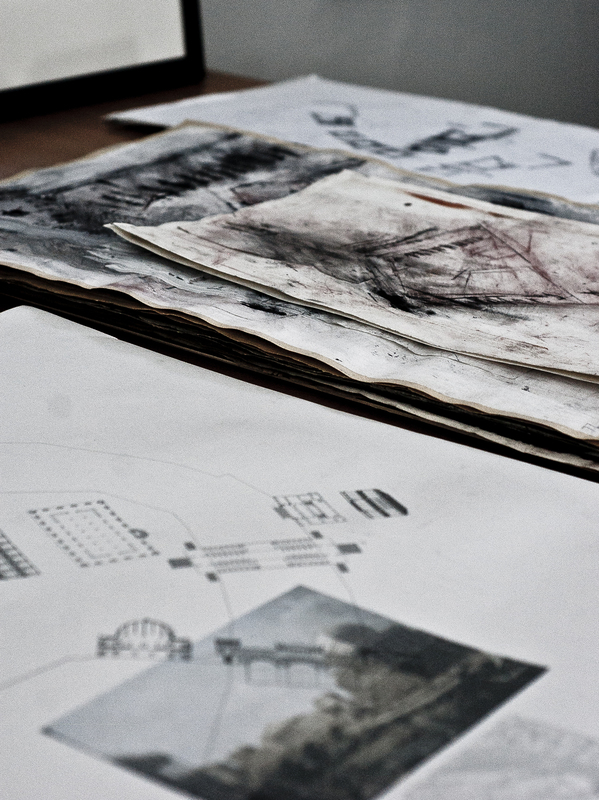 The introduction of historical critique into the discipline of architecture is a characteristic the theme of autonomy. However, it is complicated by two general positions that refer to the argument about what kind of historical critique is appropriate. One kind of critique proposes an ideological critique of the history of architecture. 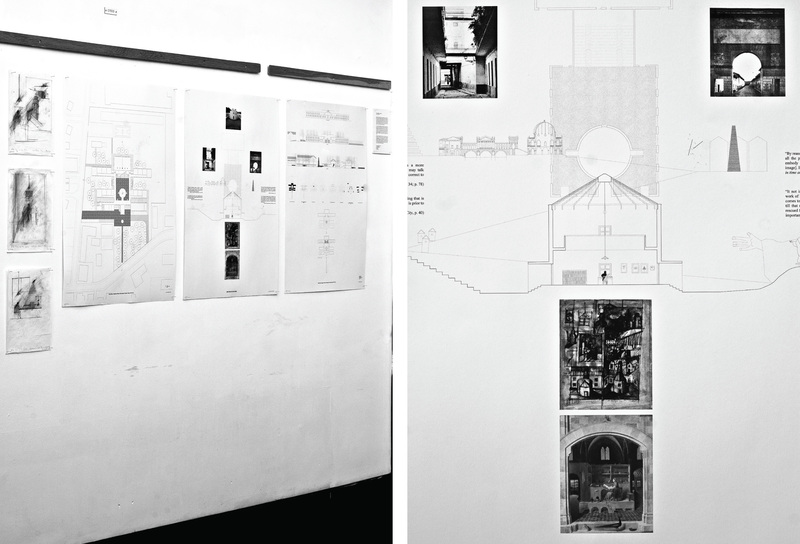 An examination of all the contributing factors around architectural form, such as the social, cultural, economic and political, in order to understand how architecture is produced through power. 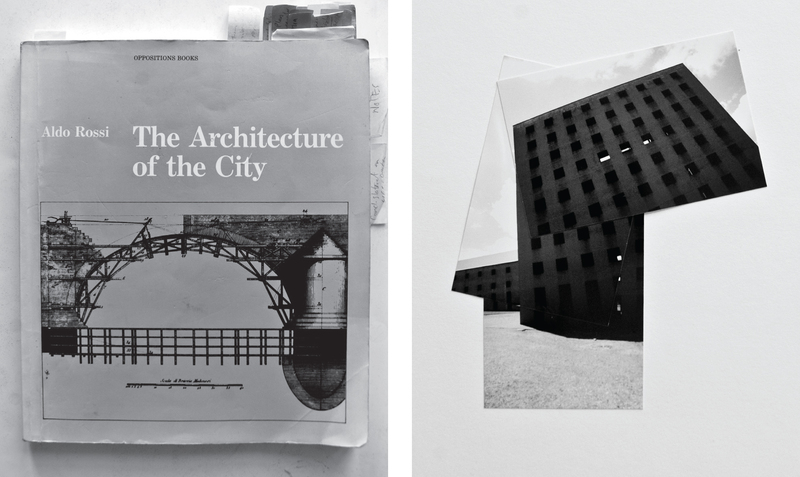 The other kind of critique proposes a typological critique of the history of architecture and its formation as the city. An examination of typological-form in order to understand the processes, principles and formal operations that underline the production of form. In particular, the relationship between the form of the individual building as it relates to the wider collective realm of the city, and the history of architecture. It is important to say that both attitudes are independent of one another, but share a commitment to the repositioning of the “I” of architecture to the “us” of the city. Whether through understanding the form and role of architecture within the city as a product of social, cultural, economic and political concern. 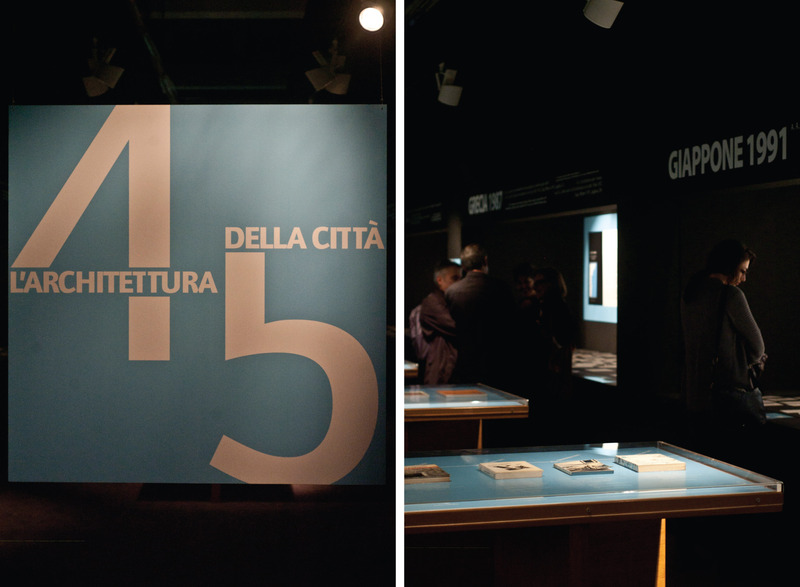 Or as much for architecture as a product of the historical, urban and typological structure of the city itself. Again, both positions prioritise the collective mind over the individual. There is a problematic overlap in these positions because architecture supports social, cultural, economic and political aspects and is their concrete manifestation. Thus, architectural form cannot be considered as a single, isolated event because it is bounded by both the material and immaterial reality in which it exists. 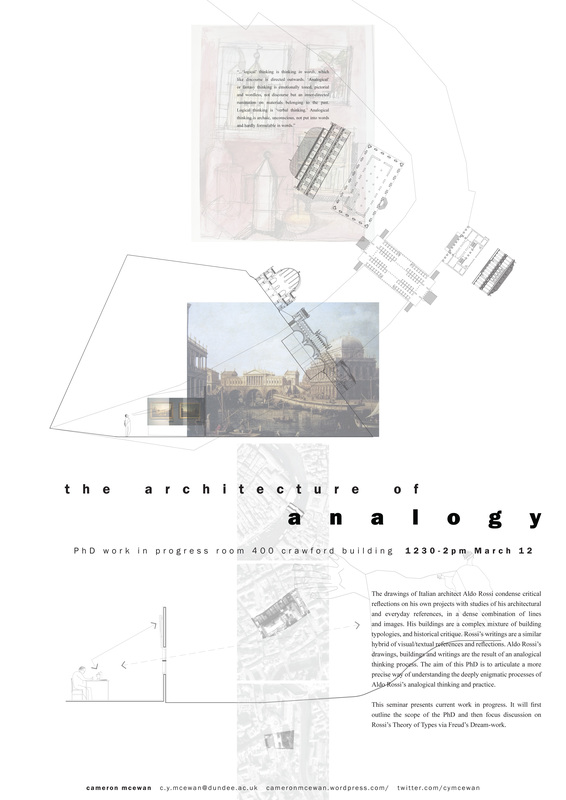 However, what the theme of autonomy can do, is open a discussion on what it means to view architecture as autonomous. 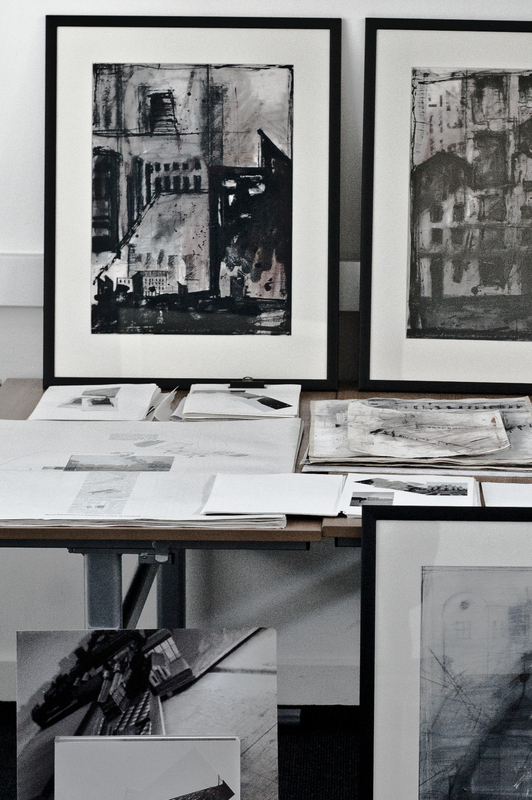 Thus autonomy refers to notions of separation, resistance, opposition, confrontation, and critical distance, which can be instrumentalised by the architect through the production of images, and texts, aswell as buildings. It is worthwhile to note a few specific examples in the recent history of architecture. 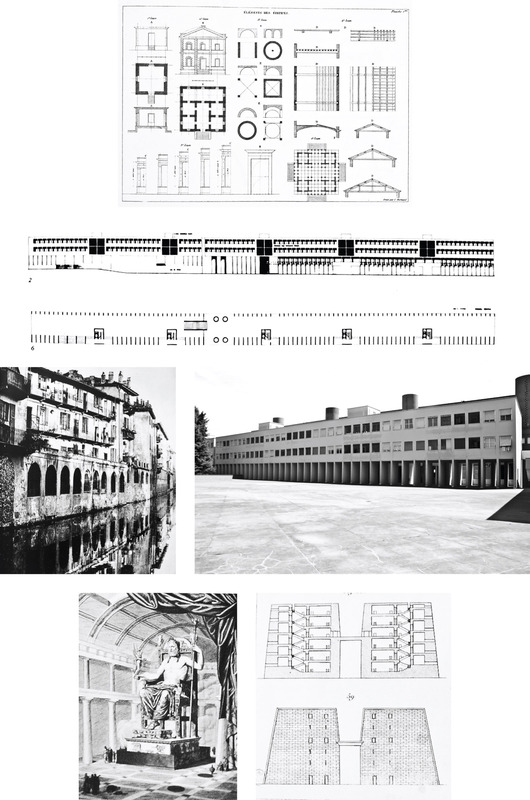 Manfredo Tafuri, in Architecture and Utopia bleakly surmised architecture to be an instrument of capitalist development used by regimes of power, thinking it useless to propose purely architectural alternatives. However, he said that it is the conflict of things that is important, insisting on the productivity inherent in separation. In Critical Architecture Michael Hays writes that architecture is an instrument of culture, and also is autonomous form. The former view emphasises culture as the content of built form, and depends on social, economic, political and technological processes. 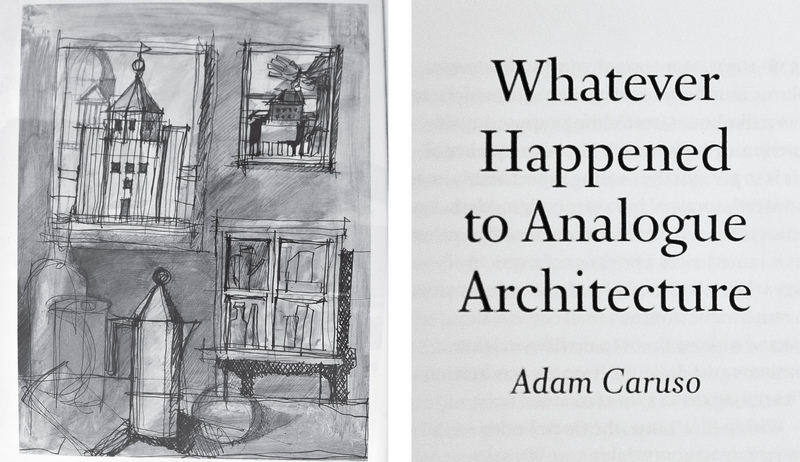 The latter concerns the formal operations of architecture, how buildings are composed, and how architectural form is viewed as part of a continuing historical project. Aureli develops an autonomy thesis in The Possibility of an Absolute Architecture, in which he articulates an engagement with the city through confrontation. 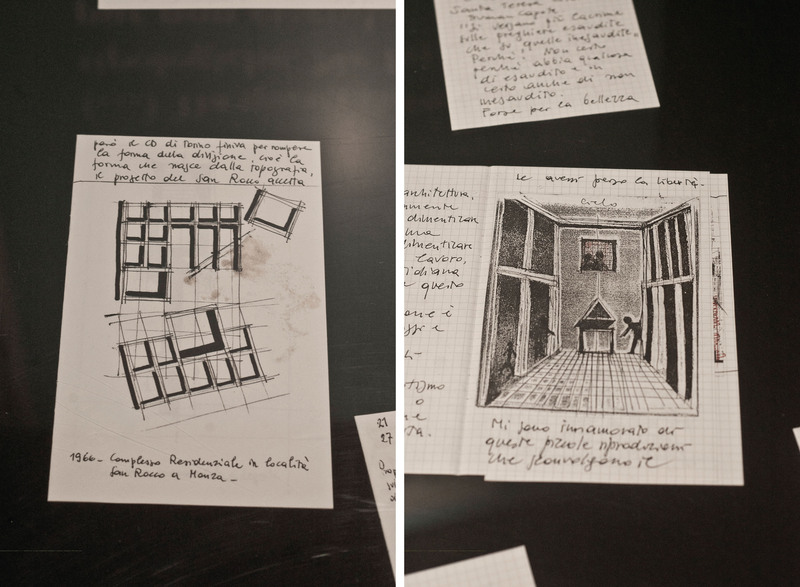 Aureli writes that it is the condition of architectural form to separate and be separated. In this act of separation, architecture reveals the essence of the city, and the essence of itself as political form. For Aureli, it is the process of separation inherent to architectural form that the political is manifest. 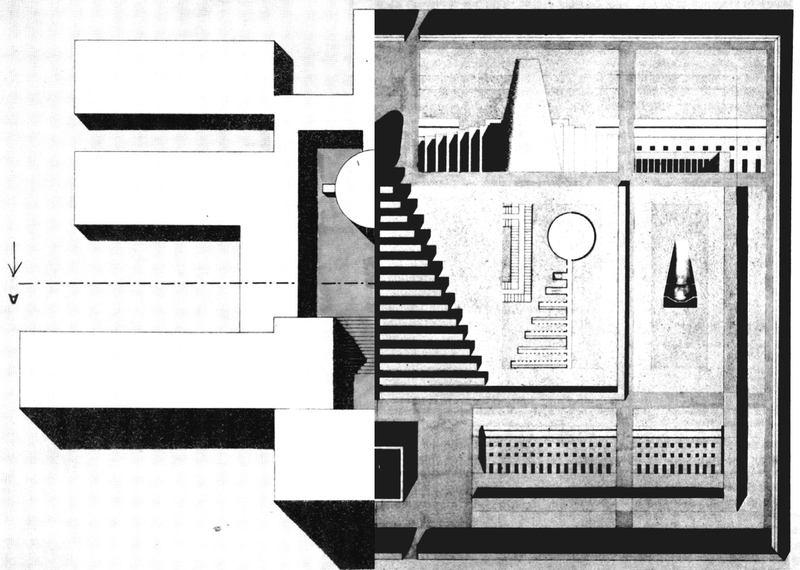 In the work of Aldo Rossi the autonomy of form produced critical distance between the legacy of modern functionalist architecture and its critique, of which Rossi was a key proponent. To outline an example, we can refer to two projects undertaken in the early 1970s. A school at Fagnano Olona, and a cemetery outside Modena. Both projects share a precisely defined bi-lateral plan-form. Extending perpendicular from this axis are wings which arrange classrooms in the school, and graves in the cemetery. Either end of this central axis is marked by a circular and a square element. 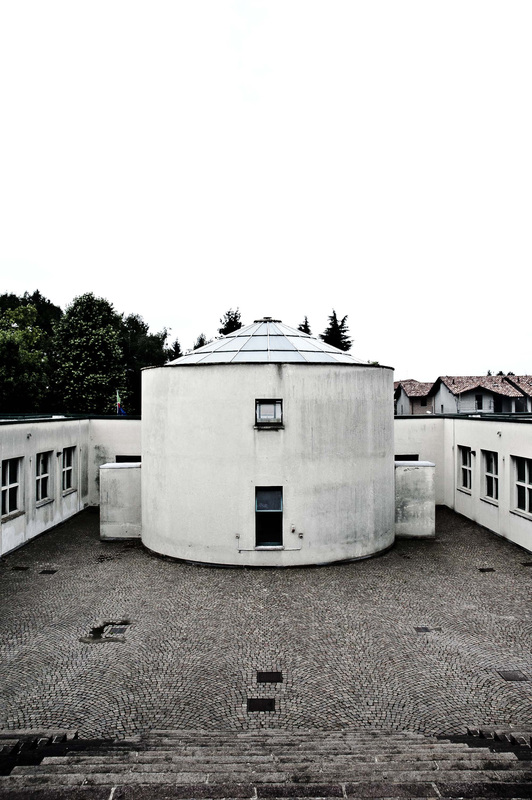 At the school, the circular element is a library which enters into the courtyard, and the square element is a gym hall. At the cemetery, the former is a conical grave and the latter, a monument to the war dead. Both plans refers to the axially arranged institutions of prisons, hospitals and asylums. In so doing, function is superseded by autonomous form, and the history of architecture is collapsed into a single building. By way of conclusion it is illuminating to recall the political category of agonism posited by Chantal Mouffe in her book On the Political. We can think once again of the I/us relationship of the opening paragraphs, and more particularly the interrelated, we/they relationship. For Mouffe, the agonist principle develops from the idea of the political as a space of permanent conflict and antagonism, and hence a constancy of the we/they opposition. In antagonism there is no shared ground in the we/they opposition, so opponents are enemies. While in agonism, there is recognition of the legitimacy of the opponent, so enemy becomes adversary. Remembering that autonomy refers to notions of separation, resistance, opposition, confrontation, and critical distance, we could say that a crucial meaning of autonomy in architecture is to constantly produce a form of agonism through the production of images, texts, and buildings. Vidler, Anthony, Histories of the Immediate Present: Inventing Architectural Modernism (MIT Press, 2008). One such discussion was undertaken during the Spring months of this year, 2012, under the general question: can we talk about fundamentals in architecture? Our exchange was at times flippant, at times philosophical, and at times biting of each other’s position. Some of us decided to formalise our thoughts in short essays. What follows is a summary. An extended version of the essay can be found on the AE Foundation website. It links the building types: school, cemetery, theatre; with their conceptual analogues: life, death, imagination. 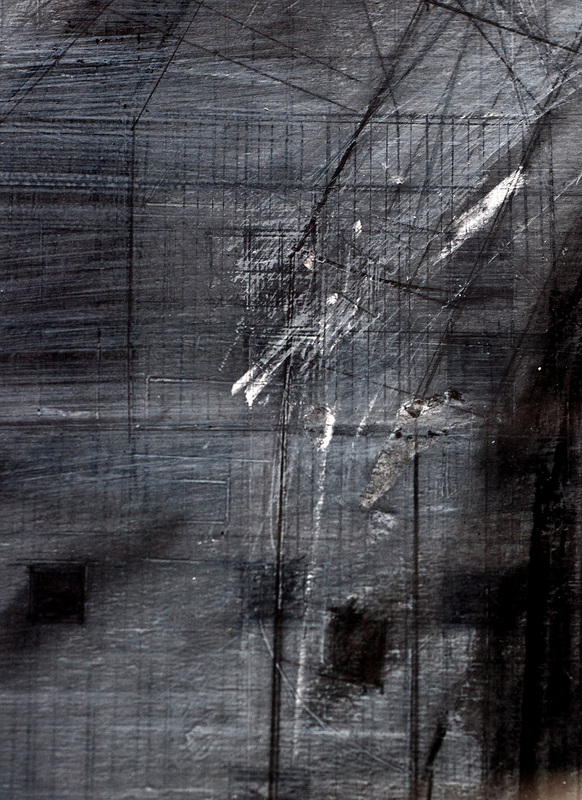 In this space of association type in architecture is both material and idea. In a theory of types, we can view the process of architectural history unfolding, treatise to treatise, manual to manual, and manifesto to manifesto. That is, from Vitruvius, De architectura, Serlio and Palladio’s books during the Renaissance, to Durand’s manual which codifies buildings, Venturi’s manifesto, and the pamphlets of Holl. 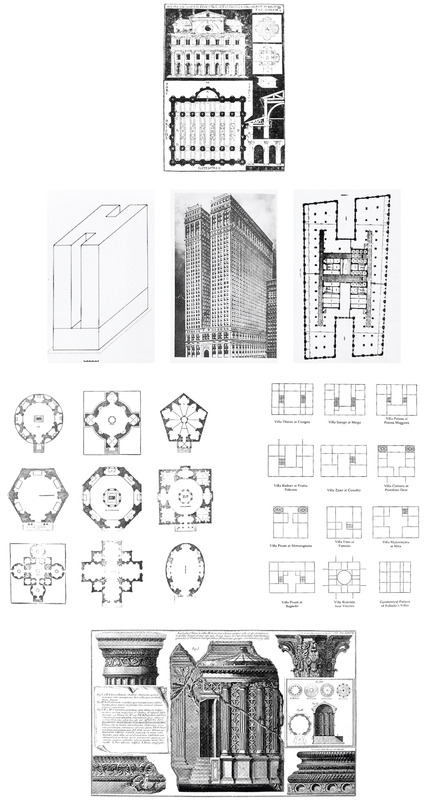 In Rafael Moneo’s 1978 essay On Typology, republished in a 2004 edition of El Croquis he writes that typology raises the question of the nature of the architectural work itself. In my view, it is therefore legitimate to postulate type as one place to begin a discussion about fundamentals in architecture. For the first part, type is a way of thinking in groups, which is, analysis through classification. In architecture, the most common theories of classification by type have been according to use: national monuments, town halls, prisons, banks, warehouses, factories, as can be seen in Nikolaus Pevsner’s 1976 A History of Building Types; and according to form: centralised plan, linear arrangement, courtyard. Aldo Rossi tell us that the former understanding is limiting because the use of a building is independent from its form. Buildings evolve over time, so a warehouse becomes an apartment block, an apartment block becomes an office block, an office block becomes a brothel. Or as, for example, Atelier Bow-Wow show us in Made in Tokyo, all of these can be contained as a hybrid, so that above the warehouse is an apartment block, which is below an office, and the building terminates with a penthouse brothel. Rossi’s quote, “I would define the concept of type as something that is permanent and complex, a logical principle that is prior to form and that constitutes it,” is significant for its location within The Architecture of the City. It mediates between a quotation by the Enlightenment architectural theorists Antoine Chrysôthome Quatremère de Quincy and Jean-Nicolas-Louis Durand. Both Quatremère de Quincy and Durand acknowledged, in different ways the relationship of memory and history in the idea of type. Quatremère de Quincy linked type with that which is archaic, elemental and primitive, and we could say to memory. Free from this metaphysical speculation, Durand’s technical understanding geometrised history. And as Rossi has said, history is the material of architecture. Thus in the adjacency of each quote we get the opposition between the conceptual and the material once more. Rossi’s quote then, mediates between the “permanent and complex,” which is archaic and elemental, something “prior to form;” and of the “logical principle,” which is that constituted by a reading of history. Freud tells us that in forgetting, we commit something to the unconscious, where it is worked over during regression, which is an impulse to the archaic; and then to surface again when remembered, only now transformed, and reverent. The type is worked over within the collective history of architecture, to be transformed by a kind of temporal and formal regression. 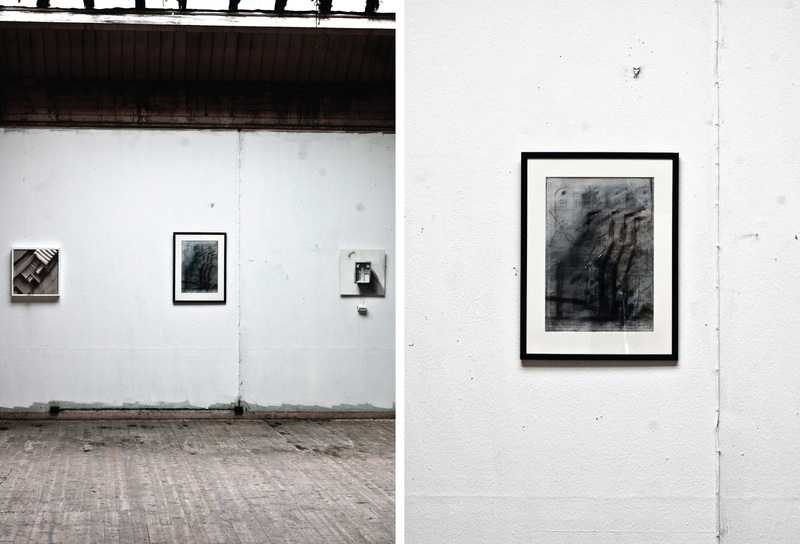 The exhibition is currently on show at The Faircity Auction House, First Floor Gallery, 52-54 Canal Street, Perth. 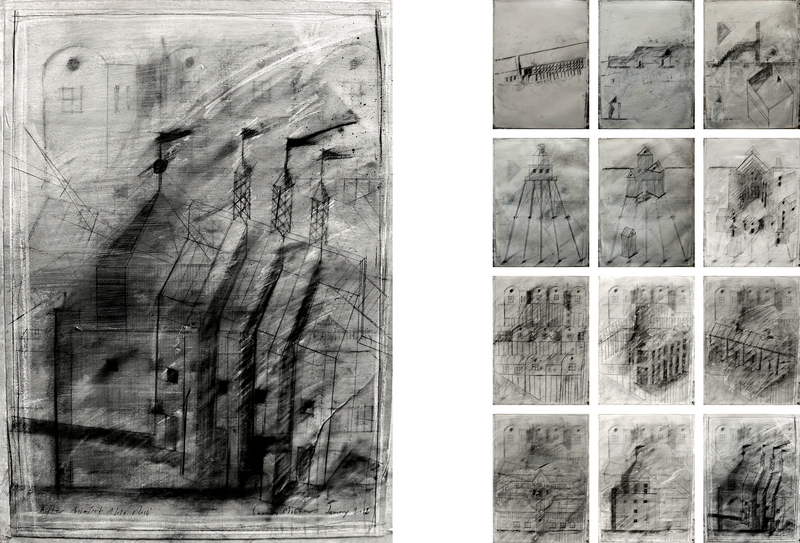 The drawing continues the After Architect Aldo Rossi series. A montage of the twelve projects that illustrate Rossi’s A Scientific Autobiography, more of which in a forthcoming Post.